We are a leading Exporter of enclosed festoon cable trolleys, festooning cable trolleys, festoon cable trolley and festooning systems from Vadodara, India. 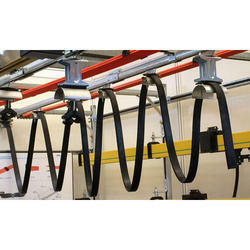 We are the manufacturer and supplier of wide range of Festoon Cable Trolleys. Made from the best stainless steel and mild steel, these wheel trolleys help in transporting any kind of material from one place to another. 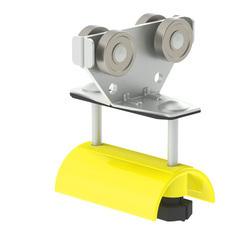 Being provided with 2 swivel castor wheels, it allows the trolley to be moved in the desired direction. However, the gamut of cable trolleys can be custom made to suit the varied specifications and requirements of the client. 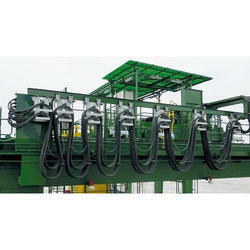 We are the supplier of excellent range of Festooning Cable Trolleys. Available with us at cost effective market prices, the offered conveyors are widely used for conveying applications used in different industries. Manufactured as per the industry laid standards, the offered conveyors are widely used for conveying different materials from one location to another.